Speaking at a WordPress event can be scary but highly rewarding. This is how I went from doing a talk to a small local group to presenting at a full blown WordCamp in little more than 6 months. Oh, and how the fantastic WordPress community makes it a lot less scary than you might think. The back end of 2017 I decided I’d do a talk at my local WordPress Meetup in Glasgow. The group are friendly and they knew it was my first talk, so I was counting in them to be supportive. I wasn’t disappointed, I was well looked after and the talk seemed to be well received. What I wasn’t prepared for was what happened next. Someone mentioned my talk to someone in another WordPress group and next thing I know, I agreed to do the talk at a Brighton WordPress Meetup. Once again everyone was friendly and they live streamed the sessions at the meetup. The live stream was watched by an organiser of the Portsmouth WordPress meetup and a few weeks later I was doing the talk again in Portsmouth. Someone from Wordcamp Belfast was in attendance and asked me to submit the talk in a slightly altered form, for the next Belfast Wordcamp. I was on a role by now so I though what the heck and submitted it. I know this sounds obvious, but I wasn’t really prepared for the scale of change. The number of people that attended my talk wasn’t massively different, but the organisation was on a different scale. Don’t get me wrong, these are all things that make Wordcamps really well run and a joy to attend. It was just a bit different to see it from a speaker’s point of view. I have to say that the organisation of Wordcamp Belfast was terrific and they went out of their way to make sure that speakers were as comfortable as possible and supported us in every way possible. Well, I’ve been invited back next year and I’ve already agreed to do it. Now I have to sort out a new talk! 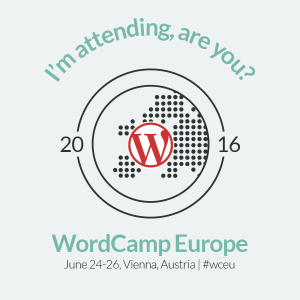 One day I’ll submit a talk to a Wordcamp Europe and go properly international. I think I need to work up to that one though. 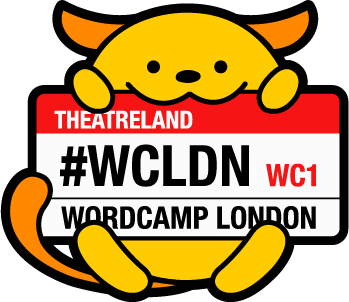 I’ve just returned from Wordcamp London 2017 and just like other Wordcamps, it’s been motivating, inspiring, educational and downright good fun. I was motivated by a number of talks. Like many people I have a tendency to be really motivated at the time but, if I don’t act on it straight away, the motivation wanes. So, something that makes me go straight out and do something is really good. In this case it was a talk by my friend Heather Burns. Part of Heather’s talk was about how privacy is, and may be, impacted under the new presidential regime in the USA and Brexit in the UK. Some of the legislation being considered potentially conflicts with the UK Data Protection Act and/or expected GDPR requirements. Working within the IT industry we all tend to be conscious of and look after our own privacy. As systems builders and providers, we should not only take care of our own privacy, but the privacy of the people referenced in the data we hold. You need to get more involved than signing an on-line petition. Heather explained that, if we are to influence political decisions that impact the privacy of our users, we need to do more than the signing of on-line petitions. Many such petitions are nothing more than vehicles for capturing mailing list data. Activities can range from something as simple as joining the Open Rights Group right the way through to deliberately carrying out ethical hacking to remove or mask data that violates our users’ privacy. The thought of deleting or modifying client data is pretty scary. If I’m being honest, I’m not sure I have the bottle for it. I would like to think I would follow the example of René Carmille and do the right thing. However, given the potential personal consequences, I can’t be sure I would. … [René Carmille] sabotaged the Nazi census of France, saving untold numbers of Jewish people from death camps. I own up to being guilty of joining on-line petitions. I am also a member of the Open Rights Group though and I attend local meetings. Heather inspired me to want to do more. As part of her talk, Heather listed the TOR 10 principals of keeping data secure under a hostile regime. We might see these principals as a gold standard of privacy. Only keep the user data you currently need. Practice transparency: share best practices, stand for ethics, and report abuse. I thought about what I could take from these principals in order to do more to protect my users’ privacy. On my own machines, data is encrypted. This includes the disks I use for off-site backup. Heather and the TOR principals got me thinking about how much care I take to make sure my data, that is stored by third parties, remains private. The main third party in my case is my web site hosting provider. The harsh truth is that until now my criteria for choosing a hosting company has been. All of these are really important, and this is probably the list you would get from a client if you ask. Following the talk from Heather I now add another criteria…. 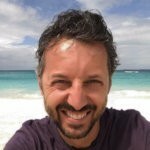 Just before Wordcamp I had decided to build a new website. My intention was to use the shared hosting I already had in place for the website. I decided instead that I would take the opportunity to canvas the hosting providers with booths at Wordcamp and see if they could provide a secure environment for my data. If they could, I would buy a new hosting package and give them a proper trial using my new site as a guinea pig. Where is your data centre located? I wanted a data centre in the UK or in an EU state where EU privacy laws would apply. Is it owned by the hosting company or is it owned by a third party, thereby preventing the hosting company having full control of who can access their data. What is your policy and process if a government agency asks for access to data that they host? Do you provide free SSL certificates and so you support “Let’s Encrypt” certification? Do you support SFTP and SSH access? It turned out to be an interesting exercise. Not surprisingly the bigger hosting companies had centres all over the world. A number could not guarantee where my data could end up. This was a definite issue as I could not be sure what privacy or access laws would be applied to my data. A number of hosts are using cloud services to provide the infrastructure for their hosting. The most common being Google or Amazon. Even if the data centre is located in the UK, the physical infrastructure may well be owned by a non-UK company and be subject to demands from non-UK or non-EU agencies. Actually the question I ended up really asking was, “What would you do if the NSA or GCHQ demanded access to the data you host”. I got a range of answers to this one. We would be obliged to provide access if it was a legal request (this could be because the requesting agency belongs to a government of a country where the data centre is located or the host company is registered. We wouldn’t provide access but we couldn’t prevent the hosting company providing access. Both Amazon and Google may be legally obliged to comply with legal governmental requests for data. Do you provide free SSL certificates and so you support “Let’s Encrypt” certification? Do you support SFTP and SSH access? To be honest I only got to these questions in the case of one host. Hosts 34sp were able to fulfil all my criteria. They would “if presented with a proper request, in line with laws such as the regulation of investigatory powers act, we would have no choice but to provide such access.” However, as the data is kept within the UK, only UK and EU law would apply. They provide free SSL certificates via “Let’s Encrypt” and they provide a very easy “one click” process for implementing the certificate. They even take care of the certificate renewals automatically for you. They provide SFTP and SSH facilities. As a result, I jumped straight on-line and purchased a WordPress Hosting package from them. By the time I left Wordcamp the next day, my website was installed and I was busy configuring it. OK, so it’s not like I’m taking to the streets and protesting against the draconian bills, currently going through parliament, that will impact our privacy but, I’m now doing something more than I was to protect the privacy of my users. What’s more it didn’t take much effort. 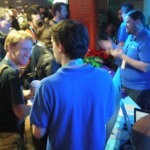 I would have been chatting to the companies with booths at Wordcamp anyway. All I had to do was prep a few questions and have a good reason for them to answer them (I had business to put their way). There is a theory doing the rounds that the next big differentiator in IT will be privacy. Whether it be services, hardware or software, it could be that the vendor’s approach to privacy will make or break them. Thanks to 34sp for being ahead of the game and making it so easy for me to take steps to move toward better protection for my users’ data. If you have other questions we can be asking of our vendors to improve data privacy, leave you suggestions in the comments. I was trawling through my twitter feed during International Women’s Day and read lots of tweets about how hard it is for the female of the species in the Tech World. That started me thinking about the WordPress Community and the fact that the first people that come into mind from the community are women. It is these people that have inspired me, not only to do more and better things with WordPress but also to be a better Project Manager and most importantly, be a better person. I shared this thought with a couple of friends and one of them asked me if she could see my list. So here it is. Before anyone starts trolling me, let’s put this list in context. I am based in the UK so most of the people I have interacted with are from the UK or Europe. This means the list is UK centric. I am sure there are lots of other awesome people out there that I just haven’t met yet. Some of the people in the list are not strictly part of the WordPress community. Their inspiration is WordPress related though. Inspiration and awesomeness is subjective and personal. This is my list and is likely to be different from anyone else’s. If you disagree with it, don’t give me a hard time, write your own! So, in no particular order of awesomeness, here we go…. I met Jenny at my first Wordcamp Europe. She had organised a sightseeing get together for people arriving in the city early. I have been inspired by Jenny’s friendliness, patience, humour and selflessness when it comes to making people feel welcome and part of the community, even numpties like me. As I have followed Jenny, I have seen how she contributes to the community, how she is determined speaks out on important issues that she feels strongly about and how much energy she puts into making the community a better place to be part of. With half of her energy and people skills I would be a far better Project Manager. Heather is another strong, opinionated,outspoken, person that refuses to go quietly. She is a Weegie though, so a lot of that comes with the territory. Heather has been a real inspiration. Over the last few years she has given up her WordPress based web development business, gone back to university to study law and is now, probably the foremost adviser on IT legal issues to the web community, who isn’t a qualified lawyer. Heather sits through the interminable pish that makes up parliamentary debates. She sifts through governmental documentation, seemingly designed to induce narcolepsy. All so we can consume all the relevant, important elements in a few minutes by reading her articles. 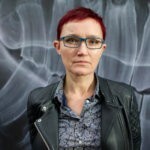 She fights for freelancers in the gig economy against policies such as VATMOSS and if the Web Industry ever gets organised enough to have a proper trade body, it will be in no small part due to Heather. I don’t know anyone that is more resilient, tenacious and if patience is a virtue, she is due for canonization. I’ ve been attending Kimb’s talks since my very first WordPress get together (Wordup Edinburgh). Kimb has a wealth of WordPress experience. He has been a developer, builder and seller of themes, organiser of WordPress events, an entrepreneur and more recently a business leader. What’s not to be inspired by? Kimb is always funny, informative and I always feel energised to go away and do something new or better after one of his talks. Kimb made me realise that, if something is central to your WordPress site and it would be a disaster if it went away, you can’t afford to be a tight wad. You need to put your hand in your pocket and pay towards the many hours of development and continued support for that product. If you don’t, you only have yourself to blame when it no longer functions with the latest version of WordPress, or just down right disappears. iThemes, you have Kimb to thank for the money I keep spending with you! Latterly Kimb has moved away from pure WordPress talks and has been talking about his experiences setting up his WordPress business Make Do. As a result his talks are now not only inspiring me but also my daughter, who’s business has nothing to do with WordPress. 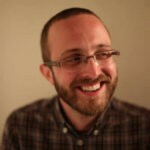 For those of you reading this, that are not part of the WordPress community, Mike is on of the co-founders of WordPress. Like Kimb, I met Mike at Wordup Edinburgh in 2013. I was blown away that Mike not only took the time to come along to the relatively small Wordup, but also took the time to spend time with everyone there including me. 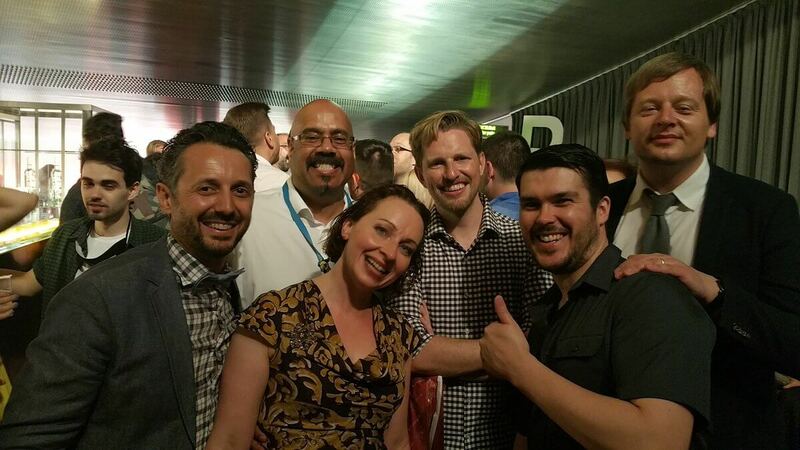 I have since met Mike at a number of WordPress events and he is always friendly and approachable. Not something you normally associate with someone so instrumental in producing something as influential and awesome as WordPress. Mike inspires me, not just because of his personality and inclusiveness but because he still spends every day producing WordPress sites and training people to use WordPress. I would like to think that if I had such a large hand in producing something as fantastic and that powered such a large part of the internet, as WordPress, my ego would remain in check and I would stay as down to earth as Mike. Sadly, I don’t think that would be the case. I can but strive towards that level of self effacement. 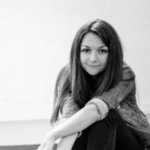 I haven’t actually interacted with Petya, but I have been inspired by her involvement in the community, not least organising Wordcamp Europe and being instrumental in translating WordPress into many languages via the WordPress Polyglots. As a project manager I would dearly love to think I could approach her organisational skills. These guys took the Edinburgh WordPress community which had died an inglorious death, and resurrected it from scratch. From the first year, when there were a few core attendees at each meeting, it has now grown to the point where there are waiting lists to attend nearly every month. Both guys are incredibly warm and welcoming, just like all the other community members in my list. 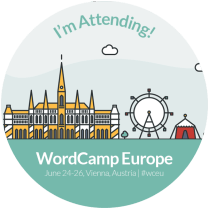 He probably doesn’t realise it, but Iain inspired me to attend Wordcamp Europe, something for which I will be forever grateful. Nate has patiently answered many of my WordPress questions, even the really stupid ones. I’m inspired to do more with WordPress because I know there is an incredible support network of people out there that will help and advise you. This is so different to some other “communities” where newbies are shunned for their lack of knowledge either technically or of the unwritten protocols that community members are expected to follow. 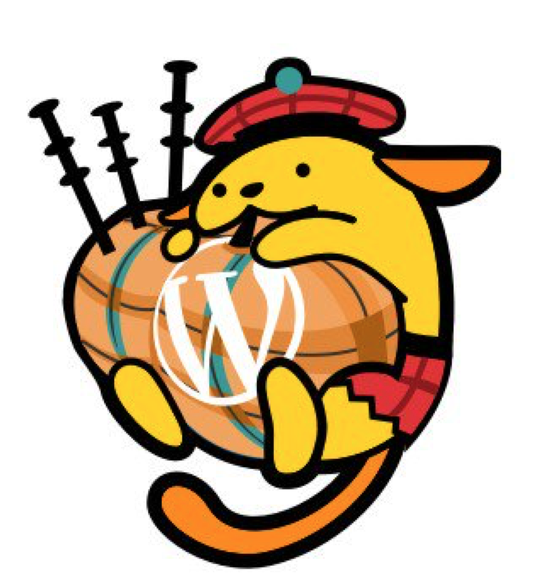 I have been working away for the last couple of years and haven’t been able to get to the Edinburgh WordPress MeetUps in that time. I’m really sad about this and I miss them a lot. As soon as I finish this current gig and get back a bit closer to home I be making sure to get my place at the meetings booked early. 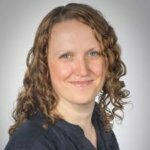 Not strictly part of the WordPress community, Lorna Mitchell is a PHP guru (she has written many books on the subject), fantastic speaker and, in her own words, a Developer Evangelist. Lorna’s talks always hit the right note for me. Pitching the level just right. Not too advanced, but advanced enough to stretch me. Like Kimb, Lorna’s talks always inspire me to go away and do something new or different. I always try and attend Lorna’s talks when she is speaking. Generally she is one of my FOSSDEM highlights. I have only just encountered Rachel on the net, but she has already inspired me. Most of my time spent modifying WordPress is changing CSS. For those not in the know, CSS is the language that dictates the appearance of web pages, including those generated by WordPress. In my opinion Rachel is to CSS, what Lorna is to PHP. I’m amazed that I haven’t heard her speak in person yet. The nice thing is that, I have that experience to look forward to. 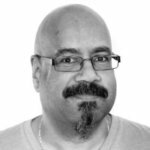 The great thing about this list is that, because of all the tremendous people in the WordPress community, it is going to grow as I go to more WordPress events and meet more of the people in the community. This year is my 40th year as an IT professional. I have been involved in a number of communities in that time. I’ve made many friends and been inspired by many people. Other than the Ubuntu community, none have come close to the total warmth and inclusiveness I have found from the WordPress gang. If you are part of the community, I look forward to meeting and being inspired by you in the future and hopefully adding you to my list. If you spot me at a Wordcamp or Meetup, please say hello. As I said at the start of this post, my list is highly subjective, personal and comes from a quick mental list inspired by Twitter. Consequently I know that I have probably missed off a number of people that have inspired me to do all sorts of stuff. If I missed you off this list, it isn’t your fault for not being awesome, it’s a consequence of my memory being whatever the converse of awesome is. In the beginning there are requirements. the simplest high level proposition will contain a level of requirement definition. I want a report that will show my sales by region. The very word “want” flags a requirement. As the life cycle of a project proceeds, requirements become more detailed. Users, business departments, clients, sponsors (lets just call them “customers”) refining their needs. For example. I want a report that shows my sales by region, broken down by product and sales manager. I want the report to also show the level of profit of each sales grouping. I want a graph that tells me which is the best performing sames manager in each region based on sales profitability. The worst performing manager should be highlighted as red. The report needs to be produced on the first of each month and be available by 9 a.m. UTC. By the design phase of a project, requirements should be fully defined. They should be at a level of detail that removes ambiguities, allowing the analyst or developer to produce a design ready for build. In practice, we are human. Producing an unambiguous set of requirements is virtually impossible for any reasonably complex deliverable. This is addressed by discussing and resolving any ambiguities with the customer as we progress through the design. The inability to produce a perfect requirement, should however, never be an excuse for a poor requirement. That’s when the snowball effect begins. 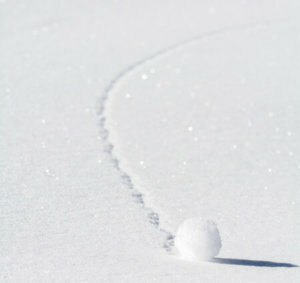 The snowball starts with ambiguities and omissions in the requirements. This results in additional (generally unplanned) time and cost to address the shortcomings of the requirements. Moving into build, missing requirements or invalid assumptions made in lieu of clarity, results in the design having to be updated. This in turn potentially leads to changes in the build. The snowball begins to grow. As we move into system testing, test cases are likely to highlight further omissions, lack of clarity and discrepancies in requirements. As a result the design, build and potentially test cases need to be updated, delaying the test phase. The snowball continues to grow. As the project enters user testing, a lack of time and effort spent on defining requirements is likely to result in a situation that the deliverable is not what the client, customer, sponsor, user etc. expected and probably not what they need. So it’s back to altering design and build, then retesting. The cost/time snowball gets bigger and bigger. This isn’t what we wanted! In order to mitigate and constrain delays and budget, a number of compromises will commonly be made. Scope and functionality will be reduced. The design will be locked down to prevent any further requirement changes being made. When the system finally goes live, there is likely to be a level of dissatisfaction and numerous manual work-arounds to address missing functionality. Dissatisfaction will probably be tempered by the promise of a future version that will address all the shortcomings of the delivery. In most cases the proposition for this type of “follow-up” delivery fails to get budget approval. The system we have is working. What you are proposing is going to cost money we want to use for other things that are of greater priority. So users, left with the system they never really wanted, have to make do. They are disillusioned, feel let down by the project and complain that the project didn’t have the customer’s needs at heart. The irony is of course, that it was probably the same users that provided the poor requirements in the first place. It’s not all their fault though. Business users are not skilled at providing requirements and need to be assisted in doing so by project professionals. Project managers need to work with their analysts to identify poor requirements, highlight them and address shortcomings early in the project life-cycle. 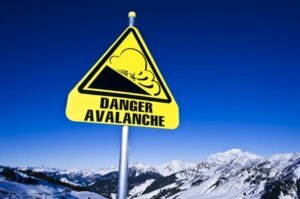 There are a number of warning signs that a project manager should be aware of that indicate a potential snowball. Customers, users, business areas, clients etc. that complain that they cannot spare skilled resources to work on requirements. People working on/contributing to requirements constantly change. There is pressure to complete design/build before requirements have been agreed and signed off. In reality, a project manager can’t always avoid a snowball effect. We often don’t have the final say in how the project proceeds. In such a situation plans need to be adjusted to reflect the level of requirement uncertainty. My suggestion would be to determine how much extra time to allocate to testing. Double that amount for build and again or design. Determine your resource run rate for those elements of the plan and add the appropriate amount to the budget. There are many things that can cause project to overrun budget and delivery dates, but poor requirements is one of the biggest impacts. I’m a great believer that you should never stop learning. This IT industry of ours never sleeps and unless we make the effort to educate ourselves we inevitably get left behind. As I have got older, I have found that I slip behind the learning curve. I like to console myself that this is mostly due to my interests widening so the learning I have to do to keep up with our world, just becomes greater, but my time to do so seems to ever decrease. Formal courses are all very well…. Formal courses and text books are a well proven education channel, and generally have the benefit of providing some sort of evidential piece of paper to prove that you have completed the learning in question. However, one of the great things about our industry is the willingness of incredibly talented and knowledgeable people to give their time and effort to pass on their knowledge. Often for free. There are many YouTube videos that act as brilliant learning aids. These “how to” videos are great if you need help doing something specific. They are instantly available but in general you need to search for a specific topic to make use of them. In my opinion he best way to take advantage of the generous nature of our industry colleagues, is to go to conferences. While there may not be a presentation dealing with your latest, hair tearing, issue, conferences have presentations that expand your outlook and put you contact with like minded individuals, any one of which may have the “magic bullet” you are looking for. So, for just a few pounds, or even for free, you can get to see and hear industry experts sharing their knowledge. Not only do you get real world advice in the form of a presentation, but almost without exception, these experts are incredibly approachable and happy to discuss their field outside the confines of their presentation. Well let’s start off with the Edinburgh Wordcamp held in November 2015. A great weekend of talks from some of the best WordPress speakers in the UK. 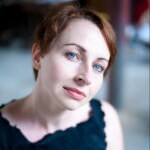 Including Heather Burns, who is probably the foremost speaker on web law in the UK if not Europe. I have to declare an interest here though. My local WordPress group, were the organisers of the event. A nicer bunch of people you couldn’t wish to meet. By the time the event was coming to a close there were already talk of the next one. To quote the Fossdem website, “FOSDEM is a free event for software developers to meet, share ideas and collaborate.”. Fossdem is held in Brussels and is the biggest free and open source conference in Europe. Attended by some 5000 hackers and with over 600 presentations it attracts some big names from all over the world to speak. This year, 2016, I’m really exited. It would appear that one of the biggest free software names in the world will be speaking. Richard Stallman, Founder of GNU Project and Free Software Foundation will be giving his thoughts on advanced licensing issues in Free Software projects. Even though I do not consider myself a developer (and neither do many other attendees of Fossdem) I always get a lot out of the conference which is entirely free of charge. Wordcamp Europe is the premier Wordcamp conference in Europe. 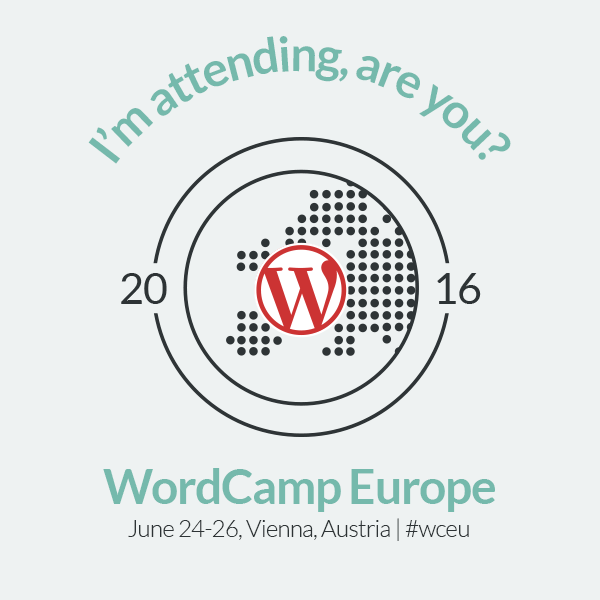 To be honest, I’m not too sure what to expect at Wordcamp Europe. I have talked to many people who have attended in the past and their enthusiasm and determination to return has made me decide to attend for the first time. It has to be said that the location of Vienna didn’t hurt any either. Like Fossdem, the size of the conference (at the time of writing they have sold out all 1500 tickets and trying to secure more space to sell more) draws speakers from all over the world. These include speakers from Automatic (the owners of WordPress) and other companies, such as iThemes, that are world renowned for their plug-ins and themes. Make the most of the generous nature of all these people willing to share these knowledge with you. I’m sure that I will be attending other, smaller events during the year. After all you can’t be over educated, can you? The majority of work carried out by Mainplus Technology Ltd. over the last 5 years has been Project Management. Mostly managing IT projects for large organisations but with the odd web and business project thrown in for good luck. Carrying out Project Management in the corporate environment brings with it a number of challenges. 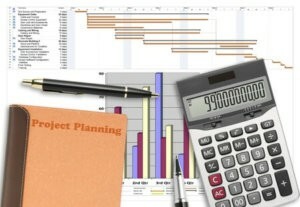 There is a myriad of people that want reports that show progress against plan but want it on a single page in a very simple format that an audience with no project planning expertise can understand. Given that the plans in question tend to be complex, and often part of a portfolio of projects which also need reporting in a similar manner, the challenge of producing such documents is not inconsiderable. Add to this that projects are monitored on a weekly basis, producing reporting packs is a significant overhead. A few years ago a good friend decided enough was enough and developed a PowerPoint add-in that analysed one or more Microsoft Project plans and created a single slide view based on simple configuration items and judicious use of specific columns in the plans. Even in its original basic form the tool was incredibly useful and soon became used by project managers, planners and project management staff across the organisation in question, including myself. Since those early days he has continued to develop the tool and use it in other organisations to enhance his value as a jobbing contract planner/project manager. Last year, at a meeting of project manager and planner friends, he came to the conclusion that development of the tool had reached the point where it was feature rich enough to warrant it being offered on a commercial basis. A partnership was formed with another good friend with corporate connections and PagePlan development became commercially oriented from that point onwards. Although I was part of that fateful meeting and a user of PagePlan over the years, my involvement in it’s growth as a commercial product ended at that point, other than the normal calls between friends etc. I felt real excitement then, when asked a few weeks ago to help launch PagePlan into the marketplace. My own experience includes marketing support for a software distributor so I think I can bring something valuable to the party. As a contractor I know how much PagePlan has helped my standing on projects in the past and I’m really looking forward to being part of making it available to other planners and managers so that they can add value to their efforts too. 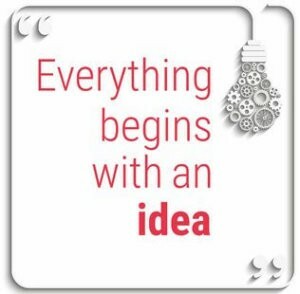 We know there is still a way to go before we will get the product launched, especially as we all have very time consuming projects we are working on, but I hope to blog about the journey from an in-house tool to commercial product as we roll it out. OK, not quite faster than a speeding bullet but way faster than previous releases. 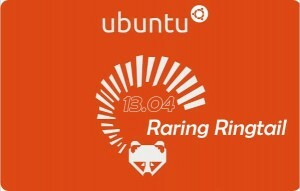 Last weekend I decided to upgrade to Ubuntu 13.04 “Raring Ringtail” after watching Nixie Pixel’s review of the release. The key part of the review that prompted me to upgrade was Nixie’s comments about how video works right out the box in Ringtail. The poor video handling has been a major bugbear of mine ever since I installed my first Ubuntu OS. My main use of Ubuntu is to breath new life into machines that are considered “unworthy” by other operating systems. In the past video has been jumpy, out of sync, crash prone and even unplayable on these older boxes. Things seemed to be getting worse rather than better. I found that Ubuntu 12.10 didn’t even recognise my GeForce 6600 graphics card (it’s not that old, or unusual for heaven’s sake). It only took me a hour or so of digging around the forums etc. to get it up and running but I have worked in the IT industry for longer than I care to admit and if Canonical want to seriously challenge the major OS players, this is the type of issue they have to sort out. It was fingers crossed then when Ringtail first booted up. I was practically jumping for joy when the desktop was displayed with no dodgy offsets, a decent resolution and the system info told me that it had recognised my graphics card correctly. My next step was to check out how well Ringtail did when playing video. Would Nixie’s comments only be relevant to newer faster PCs than mine? All the YouTube videos I tried played without problem. No skipping, crashing and no audio sync problems! I think it may even handle YouTube videos better than Windows 7 running on a newer more powerful machine. I gave up trying to watch DVDs and movies using Ubuntu long ago because they were just unwatchable. As a result my expectations were pretty low when I opened my first movie, but what the heck, things were already better than I had been expecting. I was pretty much blown away when the movie kicked into life and played as smooth as silk! Whilst going through these tests I noticed that performance in general seemed to be somewhat better than previous releases. Did this mean that my other major gripe, that the Software Centre essentially hangs my machine when it open, has been resolved.? Yes! The Ubuntu Software Centre still takes 30 seconds or more to open (I do have a slow broadband connection), but this is much better than previous releasses. I generally went and made a cup of coffee while it opened. The really big news is that it doesn’t hang my machine while it opens so I can get on with other tasks while I’m waiting. So is all now rosy with Ubuntu? Not quite yet. Some common third party software packages like Dropbox disappears when you install the release. Yes, I know you get a warning during the upgrade process that this will happen, but if Canonical wants to lure away the average Windows home user, this is not conducive to that aim. Having said that, at least Dropbox now appears in the Software Centre. There are web pages and videos that suggests the “top x things to do once you have updated Ubuntu”. These suggestions include the loading of additional drivers, software and changes to configuration settings. Most of suggestion pages are release specific, but some common themes crop up in most of the suggestions and across releases. The suggestions list I used was from Web Upd8. There are generally good reasons why Canonical doesn’t include the additional drivers and software (e.g. to prevent bloating and to remain true to its open source principals) but perhaps they should consider including a package, as part of the installation, that would allow users to optionally instigate some of the more generic and popular suggestions. There has been some criticism that Ringtail hasn’t got enough in it to attract new users. Let’s not forget though that both Ubuntu 12.10 (Quantal Quetzal) and 13.04 (Raring Ringtail) are intermediate releases and perhaps Canonical has more up its sleeve for 14.04 the next LTR (Long Term Release) due sometime around April 2014. I for one will be using my Ubuntu machine far more in the future as a result of Ringtail and this post is evidence of that. I am writing it using Ubuntu whereas I would have normally written it on my Windows machine. 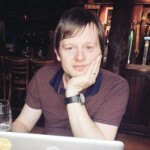 I decided a while back that I would make the effort to visit Oggcamp 12 this year. When it came time to head off to Liverpool though, I was filled with doubt. Despite really looking forward to meeting the guys from the Ubuntu Podcast and the Linux Outlaws, I was taking a couple of days off from a really high pressure project and was feeling guilty. A number of questions were running around my head as I settled down on the train…. Would the trip be worth spending time away from the project? Was I techie enough to get the most out of the trip? Is everyone there already going to know each other and I would end up drinking in a corner on my own. At least I knew the last of these questions wasn’t going to be too much of an issue. My son had also decided that he wanted to attend and was also heading to Liverpool and would be meeting me later that evening. As long as he wasn’t too embarrassed by his dad I would have at least one drinking companion. As it turned out none of my fears were justified. Even whilst checking on at the hotel, Tony Whitmore from the Ubuntu Podcast team, who was already checking in, chatted to me and made me feel welcomed. Once we hit the bar later that night, there were plenty of others happy and eager to chat. Already this was turning out to be the most friendly and open techie gathering I had attended. And I’ve attended quite a few all over the world. Once the (un)conference got under way, the biggest problem ended up being an embarrassment of riches in terms of everything on offer. Sessions on open source and privacy from the likes of Simon Phipps president of the OSI and Ross Gardler from OSS Watch rubbed shoulders with Pete Lomas, Managing Director Director of the Raspberry Pi Foundation and a specially recorded video from Stephen Fry. Whist all this was going on there was a floor of hacker areas, with everything from Raspberry Pi’s for sale and free components being given away, to automated sewing machines, arduino projects and makerbots. On top of all this, on Sunday there were a series of lightening talks from attendees. On the Social side, Saturday night saw a great party with 20lbs of Sound providing a great set of music and brilliant company. I was able to meet up and share beverages with Gary a fellow British Tech Network listener from the South Coast (thanks Ewen), Ian from Ireland, a couple of fellow Scottish attendees and even Pete Lomas. I cannot get over just how friendly everyone was. I even won a couple of prizes in the raffle. I will definitely be back again next year. If Oggcamp 13 has exactly the same content as Oggcamp 12 there would still be enough items that I didn’t see this year to keep me occupied and lots of new friends to see again. Thanks to everyone who put Oggcamp together. You did a mighty fine job and I look forward to seeing you all again. Saturday at Word-Up Glasgow was phenomenal! Apart from the usual brilliant sessions by everyone, especially Heather Burns, Kevinjohn Gallagher and Kimb Jones, it was great to talk chat to guys like Jim Convey and Martin Young to get their take on how to best approach CMS user access in WordPress. Unlike last year’s Edinburgh Word-Up, there were lots more WordPress newbies in attendance which made for a conference that felt a little less like experienced WordPress techies talking to other WordPress veterans. As a result the level of questions and answers made the whole day much more worthwhile for myself and has made me enthusiastic to get more involved with the group. It has also enthused me to do more posting as you can see. I will be checking out the Scotland Word-Up site to see when and where the monthly meet-ups will be and go along if possible. I have also suggested to Martin that we perhaps use a hack space to do some practical hands on sessions. There is a rumor that there will be a Word Camp in Edinburgh this year as well. I think I will definitely be up for that one.